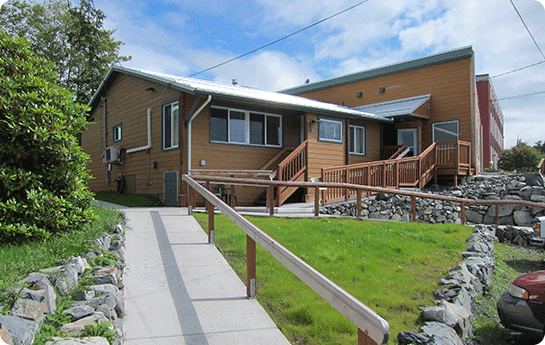 The Front House is a completely self-contained unit adjacent to the Main Lodge. It features a full kitchen, living room, and two full bathrooms; one with its own washer and dryer. In each of the three bedrooms there is a queen bed and one or two single beds; plus one additional bed adjacent to the living room. The front house can sleep 7-10 people, which makes it perfect for a group of good friends or families who want their own space apart from the lodge. 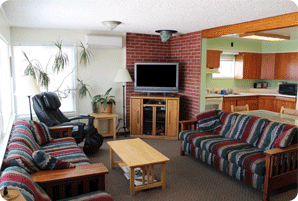 The living room looks out on Thomsen Harbor and contains Cable TV, two comfortable sofas and a full body massage chair. 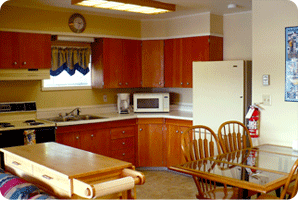 The kitchen is large and fully equipped. Housekeeping services are available.